One of the best investments I have made for my “batterie de cuisine” is buying a good mandoline. A mandoline is a kitchen utensil used for slicing, julienne or crinkle cut vegetables. One of the many advantages is the speed and uniformity in the thickness in which slicing can be done with very little effort. 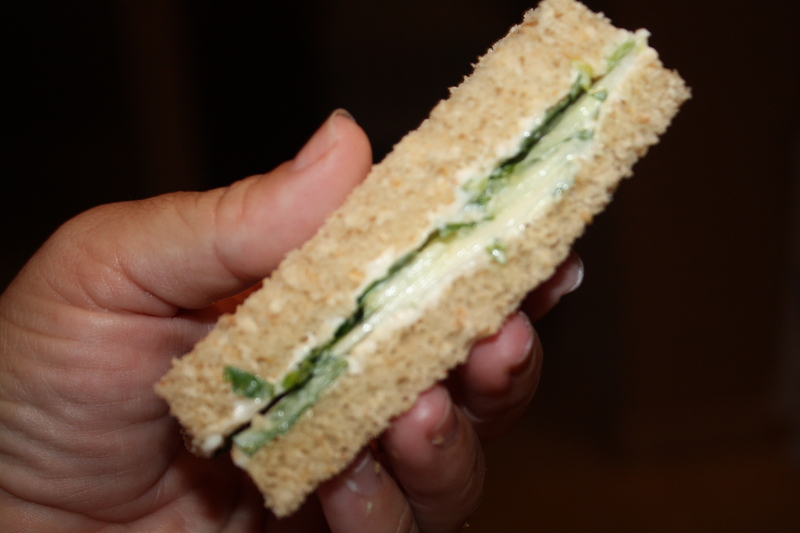 I like to use mine to thinly slice cucumbers to make these refreshing and crunchy finger sandwiches. 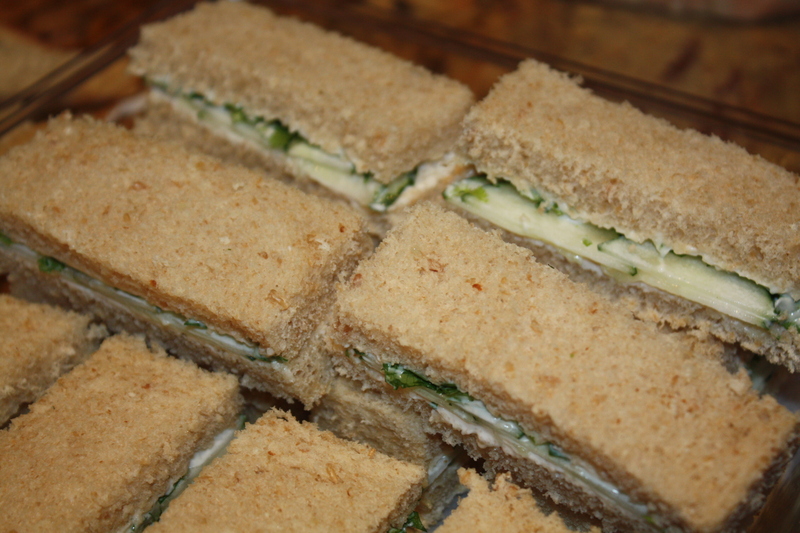 I bring them to a friend’s house for a ladies luncheon, school events and a few days ago made them for a league tennis match. Always a big success! Don’t forget to place a damp paper towel on bottom and on top of the tray in order to keep them moist and fresh. I am only mentioning ingredients and procedure without quantities because it all depends on how many people you will be feeding. 1. 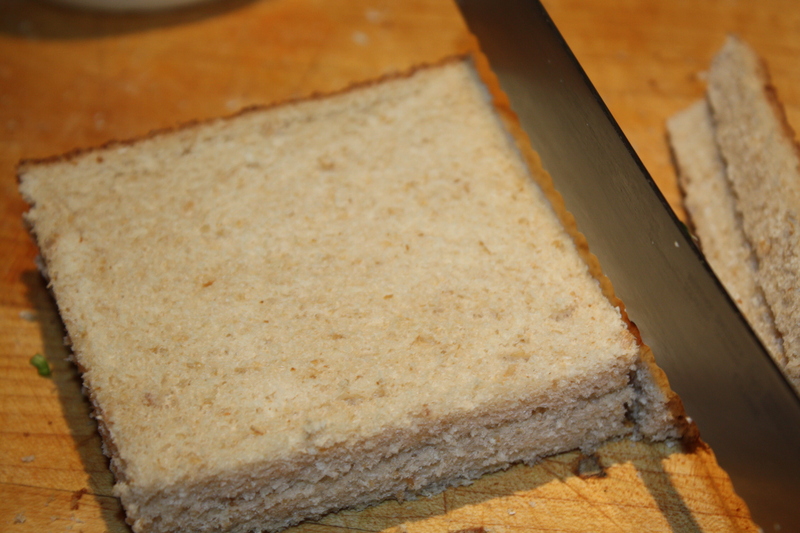 With a serrated bread knife, neatly cut club bread’s crust. 2. Cut cucumber very, very thin with a mandoline. 3. 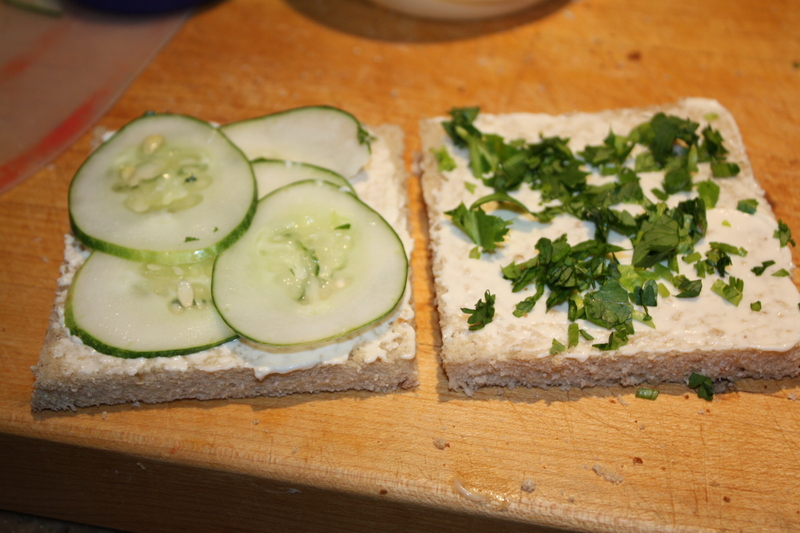 Spread mayonnaise on two pieces of bread and cover one side with two layers of cucumbers and the other with finely chopped cilantro. 4. 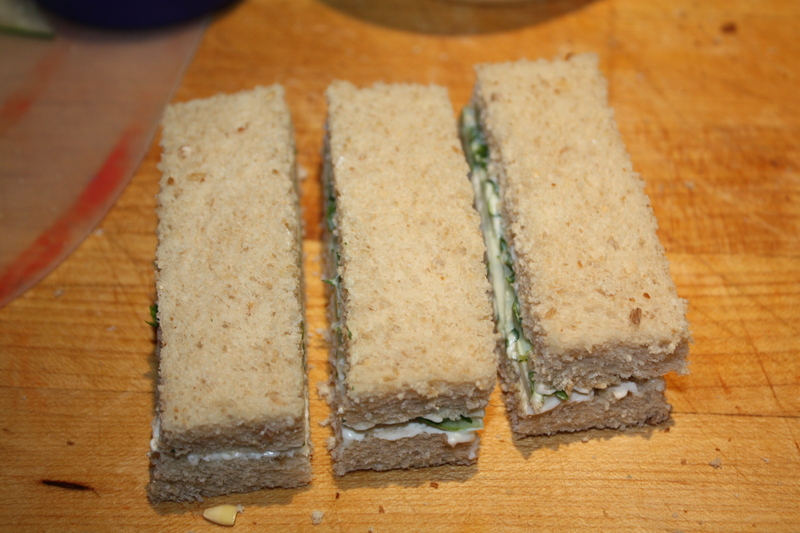 Place pieces of bread together and cut into 3 “sticks”. Keep refrigerated. 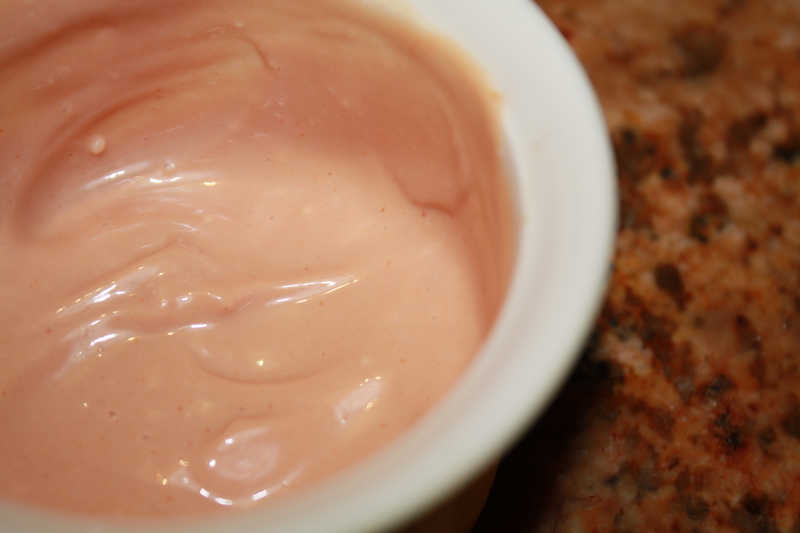 This is a popular dipping sauce in Puerto Rico. In other places it is called “Salsa Rosa” or Pink Sauce. You may use it to accompany “tostones” or fried green plantains, which my kids love. Also, it is used to dip “sorullitos de maiz” or corn fritters. In some restaurants, I have seen that they use this sauce to accompany the shrimp and avocado salad or to dip boiled prawns. It is easy to make and versatile. The possibilities are endless. 1. Blend ingredients with a spoon until all mayonnaise lumps are gone. Place in a small bowl and serve as dipping sauce or over cold cooked shrimp. To give it a little kick, you may add mashed garlic and finely chopped fresh “culantro” (recao). Or if you wish, you may add “pique” (hot sauce). Refrigerate leftovers.